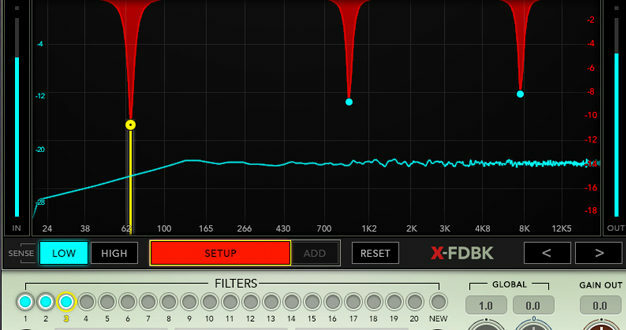 Waves’ X-FDBK (main image, above) is the “first plugin ever” to provide a complete automatic feedback suppression solution. It dramatically improves the ‘ringing out’ process and shortens it to a matter of seconds, identifying feedback frequencies quickly and precisely, and cuts them with a narrow notch, preserving the fidelity of the wedge or PA and enabling users to maximise the gain without getting feedback. Simply turn up the levels on the wedges and PA until they start to feedback, then activate the plugin and wait a few seconds until the feedback disappears. X-FDBK’s graphic frequency spectrum displays all feedback frequencies and the degree to which they were cut, letting users tweak them manually if they so wish. FOH, studio engineer and producer Yamil Martínez (Alex Campos, Ana Gabriel, Ricky Martin, Tommy Torres) uses Waves X-FDBK on vocal microphones and acoustic guitar, “in order to generate presets of the usual bothering frequencies of specific microphones or instruments”. 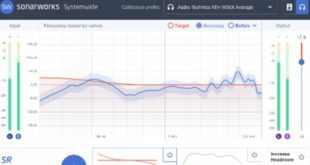 While not actually a plugin, but a plugin host, the LiveProfessor platform from Norwegian firm Audioström is designed to let audio engineers use their favorite plugins for live performances. 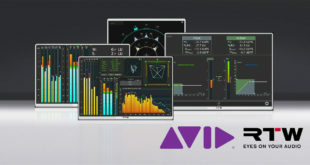 It uses the same technology as DAWs found in studios, but instead of focusing on a timeline, it has signal chains, designed to be used with a hardware mixer. LiveProfessor has extensive snapshot automation and cue lists, enabling the user to programme changes during shows. Along with a host of features geared towards live performances, LiveProfessor offers extensive MIDI and OSC functionality to control the setup, all wrapped up in a fast and easy-to-employ user interface. 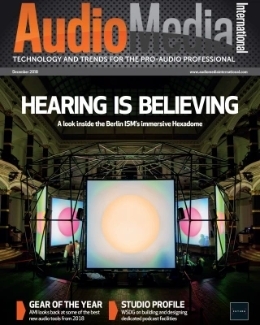 Live sound engineer Romain Tocanne has been using LP in live situations with an RME audio card connected in ADAT on several Yamaha digital consoles, with zero latency plugins. Very easy to configure and use on the go with a good MacBook Pro and a high end audio card, it is a must-have when using plugins, according to Tocanne. “A lot of improvements have been made to the overall functions of the software because the developer is very close to the users, and he is always listening to our requests,” he says. 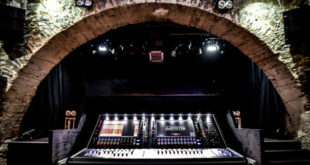 “I work on an electronic music festival – Les Nuits Sonores in Lyon, France – it is 10 hours of live acts, and I use LiveProfessor from the start till the end, always connected as insert on the master of the console. H3000 Live brings the sounds from the ‘legendary’ H3000 Harmonizer effects processor to Yamaha’s flagship RIVAGE PM10 digital mixing console. Optimised for live sound applications, H3000 Live provides pitch shift, delay, reverb, modulation, filter and other modules that can be combined as required with an advanced algorithm, delivering organic overall sound. 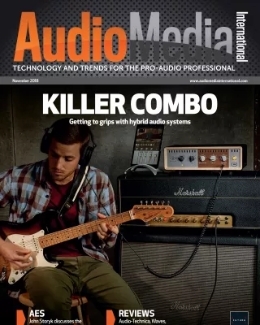 Carefully-crafted presets of the most-requested H3000 sounds make it easy to achieve “intricate, sonorous effects, adding rich harmonisation or chorus to vocals, or creating big guitar sounds with lush harmonics,” according to the developer. “I’ve been doing a lot of work with string sections in large bands this summer, so I’m always looking for detailed, smooth, and transparent sounding plugins,” explains Steve Davies, managing director at production services firm Subfrantic. “The H3000 helped enormously to establish a strikingly dominant position in the mix for a comparatively small string section in an otherwise very loud band. “Before we decided to take the plunge with PM10 I had spent quite a bit of time contemplating these sorts of toys for my own personal touring rack, but now it’s on the PM10 as a perfectly modeled plugin I don’t have to. What’s more as it’s a plugin, the number of them I can have is determined by the processing power of the PM10, not by what’s in a rack. Universal Audio’s Neve 1073 plugin for Apollo and UAD-2 models the dual-stage ‘Red Knob’ pre-amp, three-band EQ, and post-fader output amplifier, accurately replicating the experience of the original 1970s hardware. 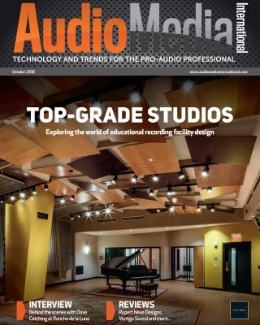 Like the hardware, the new Neve 1073 plugin incorporates all 10 clipping points from the preamp and EQ circuitry, delivering “clarity, grit, and harmonically rich class?A saturation,” according to the developer. Harnessing UA’s Unison technology, the Apollo pre-amp changes to the Neve 1073’s physical input impedance, allowing both “Lo” (300 Ω) and “Hi” (1200 Ω) impedance setting options. This provides the 1073’s full gain and tonal range to your favourite mics. 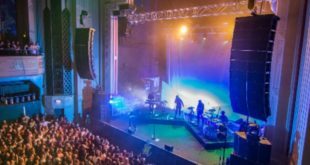 Universal Audio’s virtual devices have changed the game for TEC Award winning FOH engineer Michael ‘Coach’ Connor, who mixes FOH for Paul Simon and Sting. “My setup is primarily based on inserts associated with a stand-alone console and I have a ton of mic pre’s, so using an outside pre clutters up the signal flow in these large systems,” Connor explains. “However, we do ‘fly dates’ or small appearances where I’m able to throw my Apollo Twin in my bag and have a Neve front end for Paul’s vocal and guitar.